As a church, we value community! We believe in open, authentic communication, intentional intimacy and accountability, and a community without boundaries, borders, or divisions that constantly moves people from isolation to inclusion. We laugh together, and we cry together; and we do both without shame or embarrassment because we believe that it’s in these honest, loving relationships that God changes us and gets the attention of those who do not yet know Him. In short, we believe that no one can walk the Jesus way alone – all of life, faith, and ministry flow into and out of community. 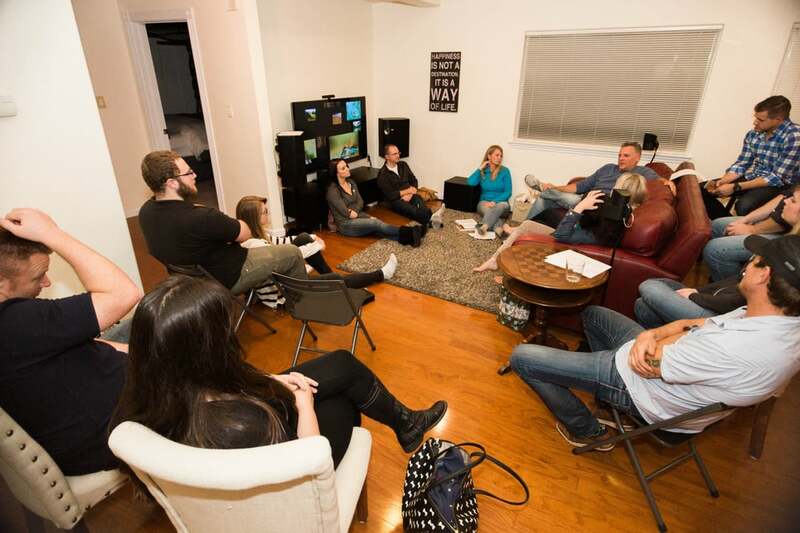 One of the ways we encourage community is through our Community Groups. Generally, this means that eight to twelve adults - often in the same stage of life and area of town - meet regularly to pursue spiritual growth and healthy relationships. If you're interested in connecting in this way, please email us for more information or contact the group leaders directly.